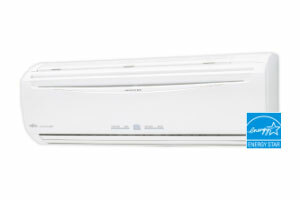 The popular Fujitsu smart Inverter range reaches the desired room temperature faster, and then constantly adjusts to maintain perfect Fujitsu Comfort. 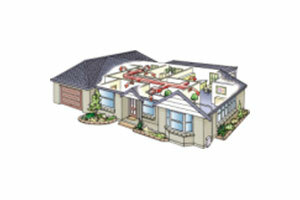 They can handle greater extremes in lower temperatures for heating. 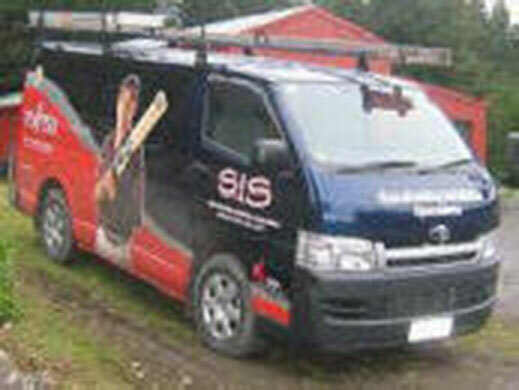 Being an inverter it can offer more smoother and stable operation, and reach the desired set temperature more quickly than conventional fixed speed heat pumps. These models are Energy Star qualified, incorporate apple-catechin filters and long-life deodorizing filters to clean and deodorize the air in your home, and are amongst the quietest heat pumps on the market. These incomparable models have more to offer than a Hi-Wall inverter with the incorporation of the Plasma Filter. Plasma air cleaning effectively removes small dust particles, even mould spores and mite carcas whilst absorbing most unpleasant odours like kitchen and pet smells. The coil dry operation and sterilising operation keep the inside of the indoor unit clean, to maintain its high efficiency, whilst quiet mode makes this unit as close to silent as any other heat pump ever made. These elegant units are designed to sit very high on the wall, just 40mm below the ceiling and remain very unobtrusive. They have vastly improved heating and cooling efficiency and energy saving, an automatic self cleaning filter system that ensures highly efficient operation plus the UV filter to disinfect and deodorise the air. The compact floor console is surprisingly energy efficient, with its elegant design. 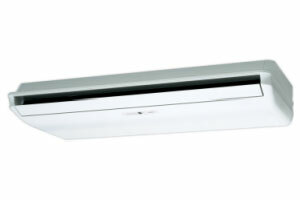 Very Compact at just 60cm high and 74cm long, this model is discreet and attractive â€“ even able to replace heating devices such as night storage heaters or wall heaters. Powerful, more efficient, quieter, these models are ideal for commercial applications and other big, open space applications. 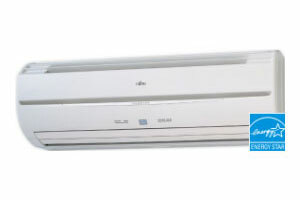 Fujitsu Inverter technology and the highly efficient DC components provide low cost operation with improved energy efficiency. 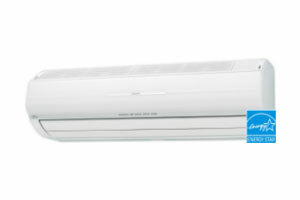 A Fujitsu Luxury Ducted system installed in your home. Ducted systems deliver optimum power without compromising on efficiency. 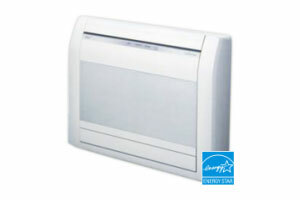 The ducted range offers discreet heating and cooling in multiple rooms, with only outlets visible inside. Choose bulkhead type (no ductwork required), Low Profile or Hi-Static models to best suit your situation, and enjoy the latest technology with high efficiency DC fan motors and DC win rotary compressors.